#Ouch: How To Help Your Feet Recover From Your Heels! Our men are very dear to us – especially if they go by the names of Jimmy Choo, Steve Madden, Christian Louboutin, Garavani, et al – and so are our shoes. While Carrie Bradshaw can strut the street in her 5-inch heels every day without so much as a wince, reality is different. Waaaay different. We’ve all known the bittersweet pain of enduring our to-die-for pair of heels. The next morning, however, is THE worst! When you want to basically just not get up so you don’t have to use your aching feet at all. But we’re ALWAYS super-happy to help! So here are a few ways you can reduce that pain or cure it the next morning! Blisters and callused skin happen. They happen to everyone. Don’t go on the “Why me, God?” rant yet. The best possible way to soothe them at home is by soaking your feet in warm water. Not only does a tub of warm (not hot) water relieve your overworked muscles, it also helps kill germs that are born out of sweat. We’d also recommend adding some natural oils or mineral bath salts to this tub of hot water to keep your feet smelling amazing! We can’t stress this enough – moisturizing is THE key to almost every skin-related worry. In the context of feet, moisturizing helps soften the skin around your pressure points, which in turn prevents future formation of calluses. See, as simple as that! A heel hangover is a brilliant excuse to pamper your feet. 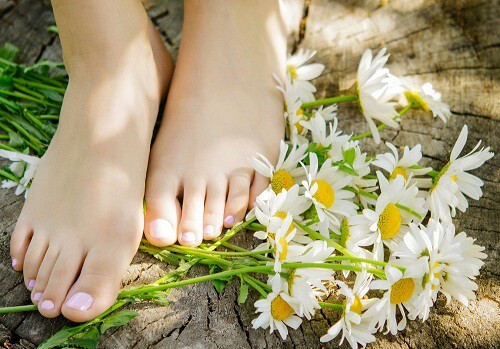 Head out to a spa that offers foot treatments like foot reflexology. A trained masseuse would know exactly how to relieve those pressure points and work up your deep-muscle tissue. So go ahead, splurge on your feet a little. While there is a concept called foot yoga, we’re not introducing you to it yet! Nor are we asking you to bend over backwards to get rid of the pain. Just point your feet away from you as much as you can and then pull the ball of your foot towards yourself. Repeating this 15-20 times will help increase blood circulation, thus resulting in elimination of pain. Most importantly, this can also be done while sitting on the bed. Just straighten up your legs and get stretching! Yes, insoles get to the problem before it even begins. Get yourself a good-quality pair of cushy insoles and slip them into your shoes before you slip in your feet. To prevent them from slipping or shifting, make sure you get them in exactly the size for your shoe. Also, when you’re buying new heels, before making your purchase, try on a pair your size and one that is half a size larger WITH your insoles inserted. Sneakers are God’s way of saying: “Girl, you need a break!”. Give your feet the rest they deserve after making your legs look so pretty for so long! For optimum comfort, make sure you slip on towel socks instead of nylon ones before stepping into sneakers. Give your outfit for the day a spin by opting for sneakers in vibrant, contrasting colours! Comfort isn’t comfort till it can equate to the joy of lying on a bed of pillows. They, however – besides providing ultimate comfort – can help alleviate pain too. How? Just prop your feet up on a couple of pillows when you lie down to give your heels some much-needed rest. It doesn’t take any effort whatsoever, and it’s really more relaxing than being a “cure”. Above all, it’s supremely important to not give in to the urge of popping that blister or picking at that callused skin under the foot. A blister is like your body’s natural Band Aid to cover a developing or developed wound inside. So let it be! The key is to just sit back and have patience. Time heals all. :-) Images: Shutterstock MUST-READ: How To Wear Heels All Day Long (Without Wanting To Kill Yourself!) 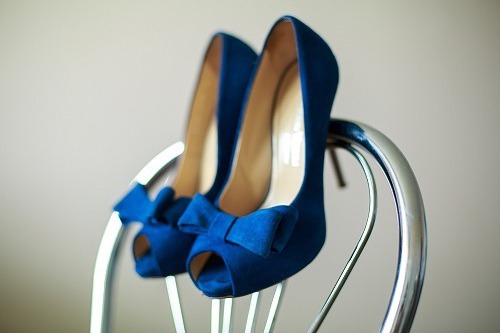 MUST-READ: #FashionHacks: 6 Must-Know Tips for Buying Pain-Free Heels!